As personalization and recognition across channels becomes a greater expectation among shoppers, more and more retailers have turned to customer relationship management (CRM) technology for assistance. Leading innovators are creating systems that ‘log’ customers into physical stores to trigger recommendations and in-store activations, as well as inform assistants to deliver personalized service, all while simultaneously syncing customer experiences both on- and offline. The Manhattan-based store from the athletic wear and footwear brand Nike closely integrates the Nike+ membership app to provide customers with exclusive experiences, recommend products based on previous purchases, and self-checkout. The app uses geofencing technology to automatically detect when they enter a store and updates their app with essential features to use in-store. 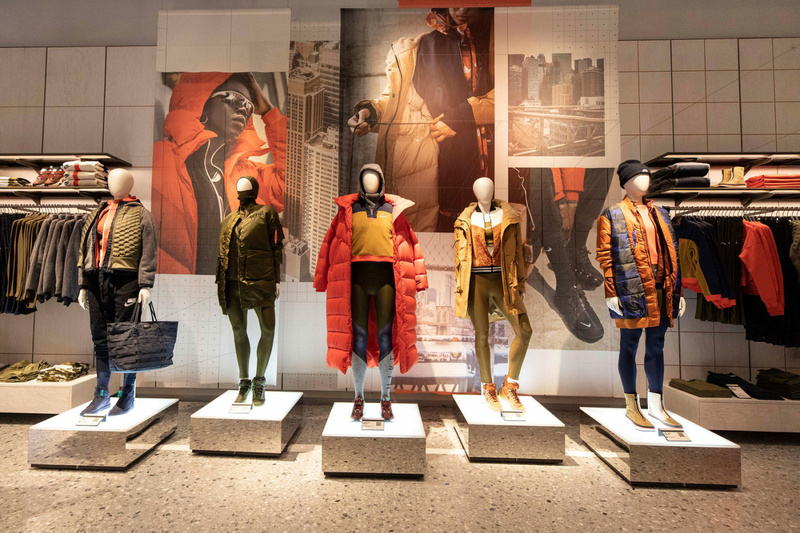 Alibaba partnered with fashion brand Guess to pilot Alibaba’s first FashionAI concept store featuring smart racks, smart mirrors and high-tech fitting rooms. Shoppers check in with a QR code or via facial recognition, and, as all items are RFID-enabled, when the shopper picks them up, they automatically appear in a smart mirror. The mirror subsequently suggests outfits to complete the look either based on the customer’s previous purchases or the store’s latest products. 55% of shoppers say retail experiences are disconnected across channels. For more ways that leading retailers are addressing this issue and building better retail experiences, download PSFK’s Retail Trends Playbook 2020, made in partnership with Microsoft.